It’s hard to believe it’s been close to two years since our last update from the Berlin team. We’ve been hard at work completing the space, growing the team, expanding marketing efforts and internationalizing pages on the site! 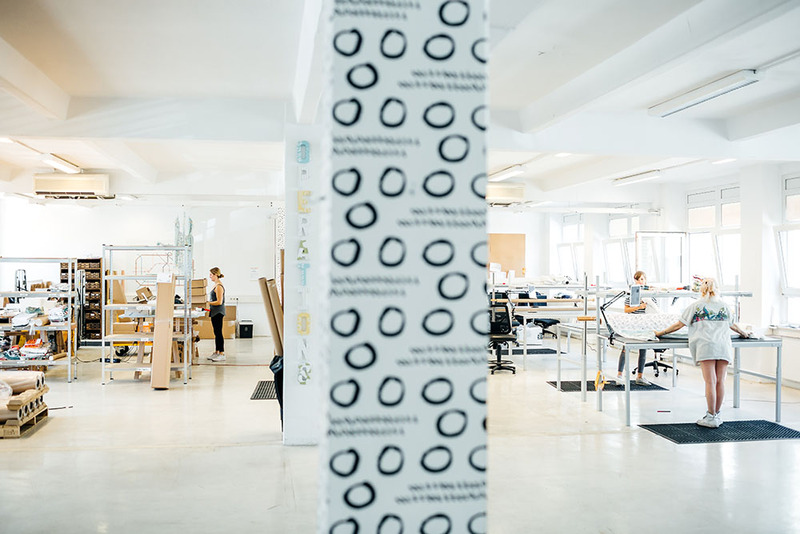 Our Berlin team now consists of 30 crafty individuals from 20 different countries. From New Zealand to South Korea, and South Africa to Bulgaria, we have rounded up quite a diverse group of folks who help with everything from printing orders to writing code. Members of the Berlin team speak 23 languages and while we come from various corners of the globe we all unite around the common goal of craftiness and creativity! Our engineering team continues their work in internationalizing the website. Many pages are now available in French, Spanish, and German with the full experience on its way, along with shopping in meters! And soon after that, we will continue adding more languages and tweaking the experience to make it best fit for communities members worldwide. To access the site in another language simply navigate to the footer on the shop page and choose the language you’d like to see. 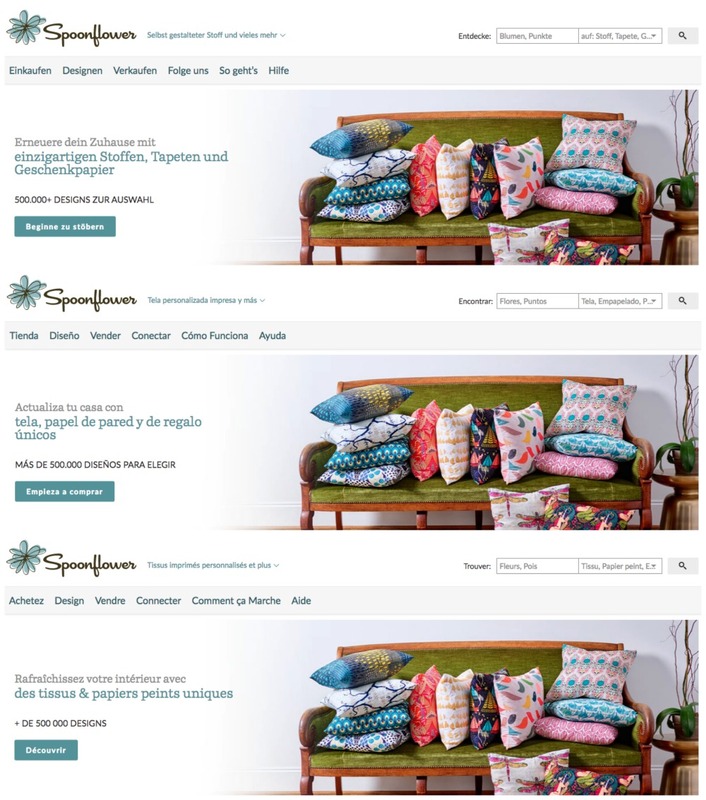 You can currently choose from French, German, Spanish or English and more pages are available in some languages than others, but stay tuned for a full shopping experience in all three additional languages! 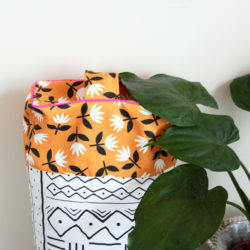 The URL will remain spoonflower.com and the website knows which factory to send your order to based on your shipping address. No need to visit a new website or worry about whether or not your order will be processed through the right factory, we take care of that for you! Marketing efforts also continue to expand in German, so if you sprichst deutsch have a look at our Instagram, Facebook and Pinterest accounts. We may also be at an event near you over the next few months. 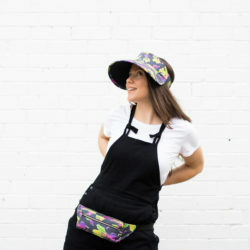 Spoonflower designer Ceri Staziker (cerigwen on Spoonflower) will join us in London to teach a workshop at the Knitting and Stitching Show and Claudia of Primus Pattern is working with us on a workshop at H+H Cologne. 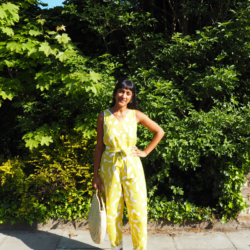 We’re also partnering with Elke of Elle Puls to teach classes at Nähcamp, her weekend sewing retreats taking place all over Germany. 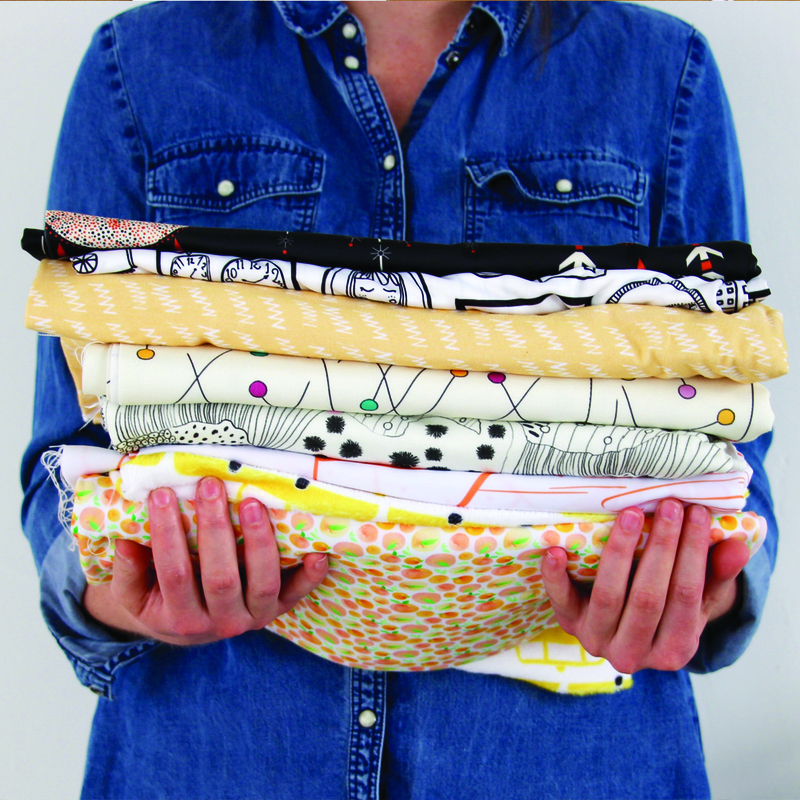 In March is Berlin’s workshop where Swantje Wendt will teach a class on sewing undergarments. 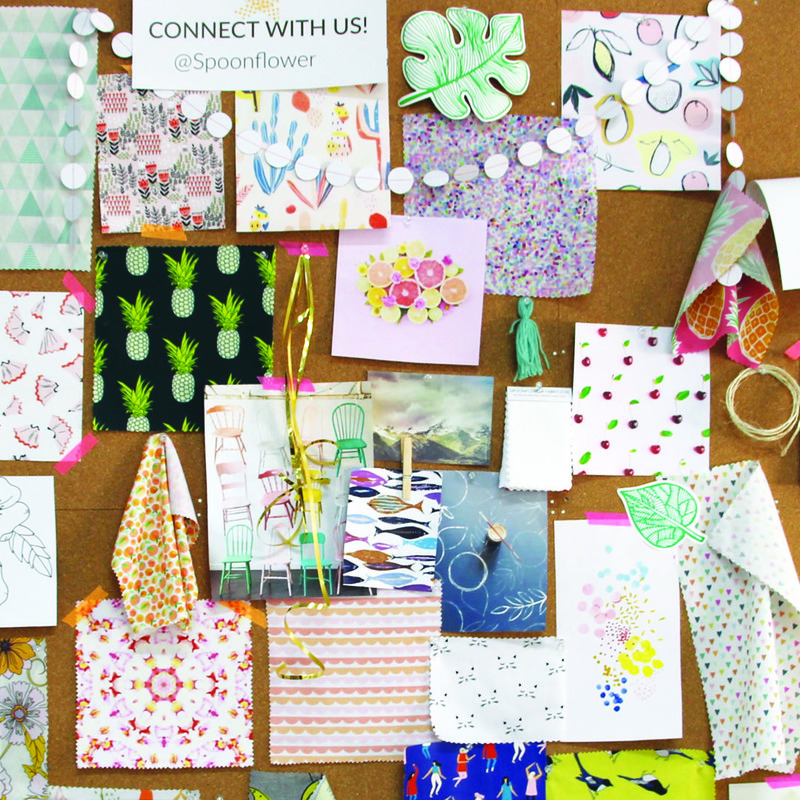 We attended German Press Days in the spring where we had the opportunity to bring Spoonflower to life in a bar in Mitte. 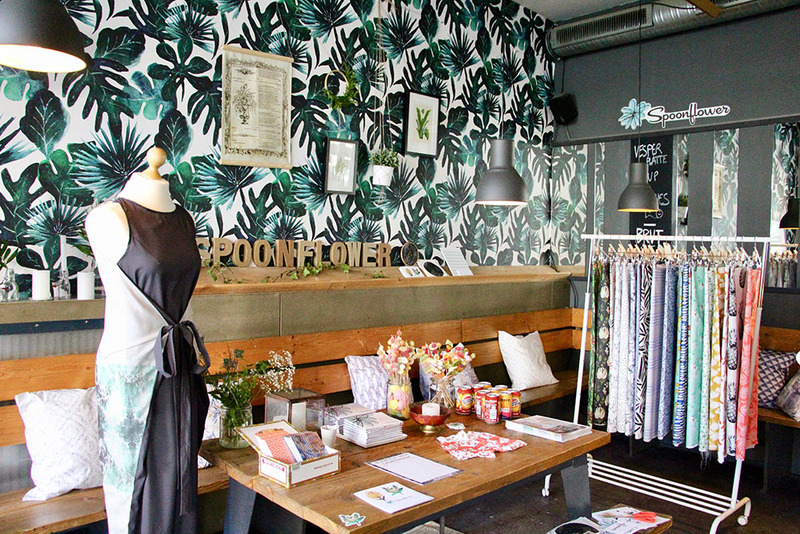 We decked out the space with tropical wallpaper designed by Crystal Walen and filled the room with Spoonflower goodness. 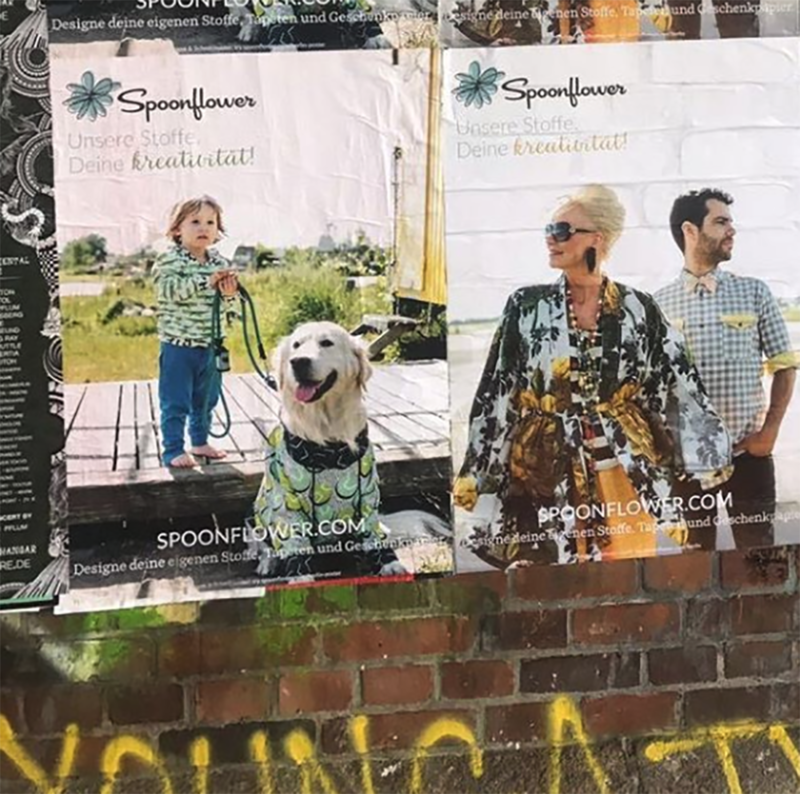 In the summer we partnered with Sprout Patterns to bring our fabrics to life through a poster campaign shared all across Berlin. 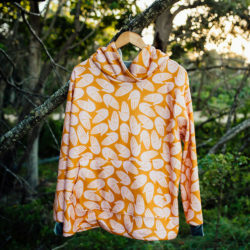 It was thrilling to see photographs of our fabric all over the city. Stay tuned for more campaigns throughout German cities this year! Interested in getting to know the Berlin team better? 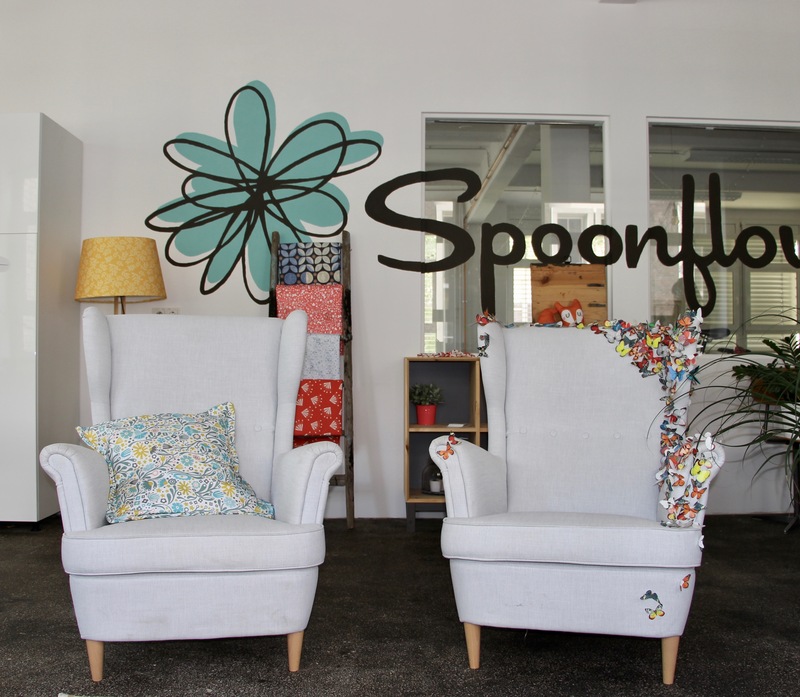 Shoot us an email at hilfe@spoonflower.com to schedule a visit to the Berlin factory or apply for one of our open positions!